Fed up of all your Christmas cards blowing off the windowsills? 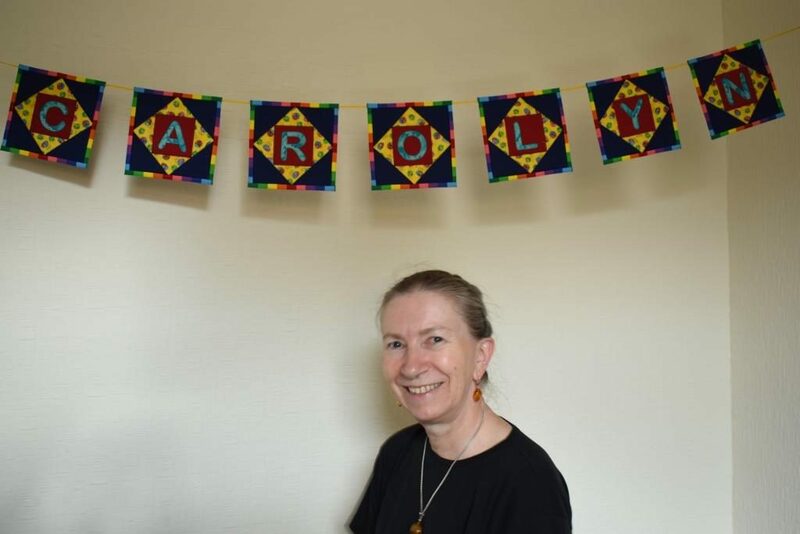 I have a range of patterns which can solve this problem, as well as bringing a festive touch to any celebration. Why not make one of these unique and original designs to display your cards – and bring it out again each year to add to the festivities. 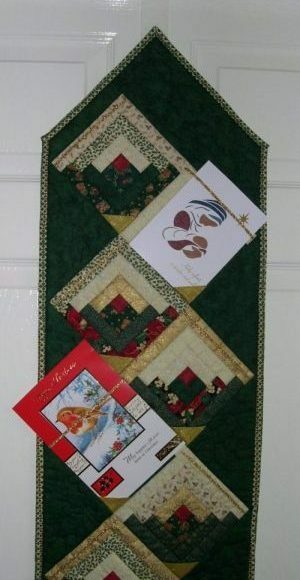 See more details of this log cabin card hanger on the Christmas Card Hanger page, where there are two videos; one showing in detail how this project is made, and the other showing how cards are displayed on it. Like all my patterns, it has plenty of detail to help you follow each step easily – this pattern has fourteen A4 pages and two variations. 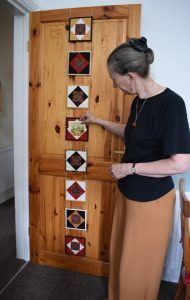 The Celebration Card Hanger is also made up of two long strips which hang over a door, but instead of log cabin, this design uses the Dresden Plate. 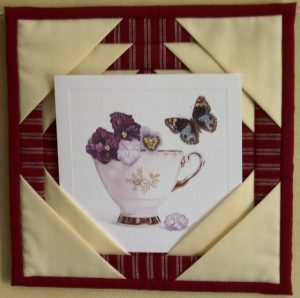 Both of these designs can be made as a table runner if you don’t want to cover up the patchwork with cards. Another family of card hangers is made up of individual units which are strung across a wall. 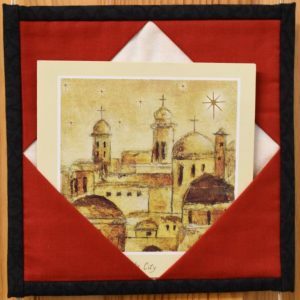 A card tucks into pockets on each unit of the Christmas Bunting. 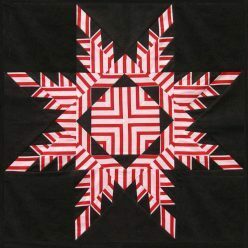 More details, a video and photos of these can be seen on the Christmas Bunting page. 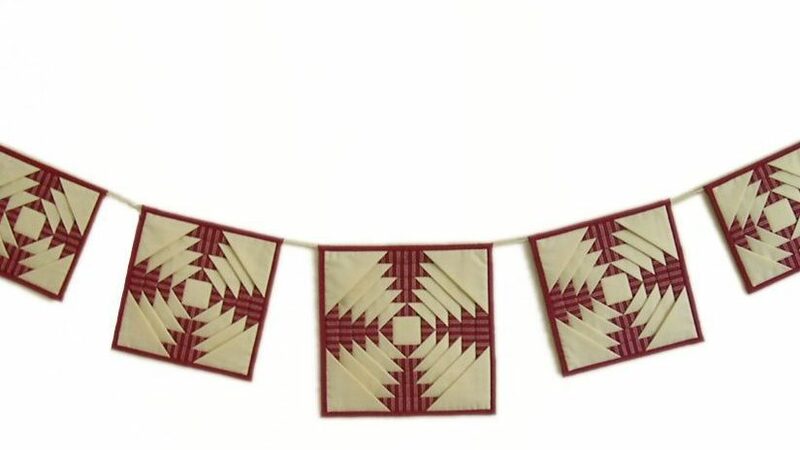 Both of these Bunting patterns hold cards that are about 6″ square, but fashions in cards vary, and in some years you may receive a lot of large cards. 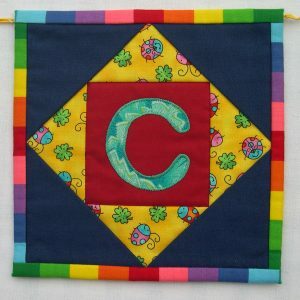 To address this, I designed the Multisize Bunting, which has lots of pockets, so can take cards of different sizes. 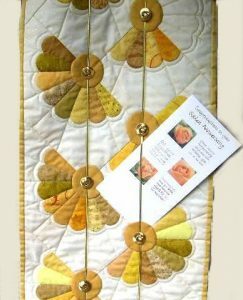 This pattern is also available from the online Shop.